This past Monday, we all missed an opportunity to hear a leading modern orthodox rabbi provide the invocation for the Republican National Convention. Members of his religious community, alumni of the yeshiva he formally directed, and individuals and members of Jewish organizations from around the country pressured Rabbi Haskel Lookstein not to lend his voice to the Convention. All I can say is shame on everyone who participated in preventing this religious scholar from offering prayer, from allowing him to create a connection between the political world and the world of divine values. “And so it is particularly painful to see that the man who had been our daughter’s high school principal, the respected Rabbi Haskel Lookstein, has agreed to give the invocation at the upcoming Republican National Convention. Yes, I know that he is the rabbi for Ivanka Trump and her husband, Jared Kushner. And yes, I know that he was the rabbi who supervised the conversion process for Ivanka. I am glad if they have developed a close and meaningful spiritual relationship. Unfortunately, these accusations are both false and indicate a complete lack of understanding of what offering a prayer at a public gathering is all about. These people and others have not only embarrassed Rabbi Lookstein, but they have embarrassed Ivanka Kushner and the entire Jewish community in this country. I appreciate your “bringing your community together” as the reason for withdrawing from offering the invocation at the Republican National Convention. It is unfortunate that those who urged you not to go do not understand the distinction between prayer and embracing a person or an idea that makes one uncomfortable. Your invocation, I am sure, would have uplifted the spirit for those in attendance and those of us watching from our homes. At the same time, how lovely to have a personal connection with Ivanka’s family and to have been able to share that with the listeners. Unfortunately, we were not able to hear that from you. I have had the good fortune to provide invocations for political leaders and at gatherings where I may not be entirely supportive of the party, politics, issues, etc. Years ago, I had been asked by our former Republican congressman to provide a prayer at an election night gathering of Republicans, knowing full well I am a life-long Democrat. It is an honor to be able to request a spiritual presence in words that express humility, praise and reverence. Rabbi Lookstein, I just wanted to offer support to you and express to you how sad I feel for you for having to make such a difficult decision because there are those in our lives who lack the clearer message of our calling as rabbis. It sounds as if you are a great rabbi. Chazak chazak v’nitchazek. We thank you for our constitutional government that has created and fostered the American ideals of democracy, freedom, justice and equality for all, regardless of race, religion or national origin. Almighty God: We know that we are living in very dangerous times, when all of these blessings are threatened from without, by forces of terror and unimaginable brutality, and from within, by those who sow the seeds of bigotry, hatred and violence, putting our lives and our way of life at risk. If only we had been given the opportunity to have heard that from the convention floor Monday night. 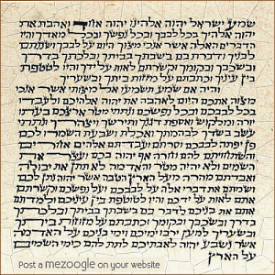 It is obvious that Rabbi Lookstein understood that the function of this prayer was not to promote a candidate or a party; rather it was bringing a moral voice to a particular political proceeding. A prayer from a member of the clergy at political gatherings is about offering a prophetic prospective, not partisanship. Rather than chilul haShem, blaspheming God’s name, Lookstein would have provided kiddush haShem, a sanctification of God’s name. Pastor Burns is absolutely guilty of the former. Let us be wary, for the same argument can be made at the upcoming Democratic National Convention. Those on the ‘other’ side will demand that if a Rabbi (assuming the DNC does invite a Rabbi) is invited to give an invocation to the Democratic Convention, he or she withdraw so as not to show support for Hillary Clinton whose support of the Iran fiasco does not bode well for the survival of Israel. Where will it end? It will end when our voices are completely silenced in this nation. We Jews are citizens of the United States of America. Being so, we are to fully participate and our voices should be heard. This petition by 600 alumni, this pressure from others around the country did not only harm this rabbi, it hurt Ivanka and Jared Kushner, and most importantly, it hurt all of us! How do you suppose other citizens of this country will view us or trust us if we do not allow ourselves to participate in the democratic process? Friends, at every turn there will be Jews who condemn other Jews from fully participating in American society because that participation will be viewed as anti-Semitic or anti-Israel. We are one of the smallest minorities in this country, and we as a culture and a religious people have something to say. If we allow our voices to be silenced, there will be no benefit we can provide except at venues where all are in agreement. And in that case, what is the point? The takeaway for us is that this episode is not about one moment or a five-minute invocation. Nor is it about a candidate and whether or not he will have a four-year term or not. This is about values we wish to live by and profess and have a passion for every moment of our lives! In order to build a moral society, we need to hear the prophetic message from rabbis, ministers, imams who have the courage to profess it. And, at the same time, these values need to be heard by our fellow citizens in venues we may not appreciate or support. If they and I are prevented from speaking, the moral degradation that occurs as a result means we have learned nothing and we only have ourselves to blame. 1 If you would like to view the “prayer”, click here.